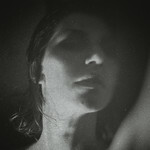 Igniting interest with her eponymous debut album released just two years ago, Aldous Harding quickly became a name murmured on many lips. She's known for her sinister torch songs, gentle laments and eerie odes delivered with a charismatic combination of hubris, shrewd wit and quiet horror. Party introduces a new talent to the stark and unpopulated dramatic realm where Kate Bush and Scott Walker reside. Party was produced with the award-winning John Parish (PJ Harvey, Sparklehorse) in Bristol, a world away from Harding's New Zealand home. As well as contributions from Parish, Perfume Genius's Mike Hadreas lends vocals to the aforementioned 'Imagining My Man' and 'Swell Does The Skull'. 'Imagining My Man' is an intensely intimate listen as Aldous explores the curiosity of a lover's idiosyncrasies. The video was created by 'Horizon' director & editor Charlotte Evans and once again draws focus on Harding, tracking her movements throughout the city of Auckland. "It has a fluidity that works nicely. I couldn't think of anything that would work better. I want people to feel calm, I was just trying to look friendly. It was also lovely being driven around Auckland City, I hadn't done that in a while." says Harding.